The Motley Fool Canada » Energy Stocks » These 3 Oil and Gas Stocks Are an Absolute Steal! These 3 Oil and Gas Stocks Are an Absolute Steal! If you’ve been secluded in the jungles of the Amazon for the last month, you may not have heard that oil and gas stocks took a deep dive. So let me fill you in! The latest downward trend stemmed from OPEC’S October report showing production growth of 127 million barrels per day in October. After a fear of oil shortages drove up crude prices, OPEC came back to say those numbers were exaggerated. While investors already in the oil and gas market are waiting to see whether the industry heads into a bear market, analysts say it’s Black Friday if you’re looking to invest! TransCanada’s Keystone XL pipeline is still facing heat. First rejected by then-President Obama, next it was resurrected by Trump and finally shot down again recently by a Montana judge citing failure to comply with federal environmental regulations. This and the plunge in oil prices has seen the company drop about 14% since January. But Keystone isn’t TransCanada’s only project and in fact is the only pipeline of its four phases that isn’t operational. TransCanada’s LNG plant was approved, and it expects the Coastal GasLink natural gas pipeline should be complete by 2022. This is on top of its recently completed WB XPress project. Investors should look to TransCanada’s average return of 13% annually since 2000 when deciding to invest. Look to its 5.2% stable dividend yield with an expected 8-10% continued dividend growth through 2021 and an almost 50% year-over-year growth in earnings. The drop in price remains due to factors outside TransCanada’s control, and as with other oil and gas companies, everything should return to normal shortly. While some oil and gas producers are against cutting back production with low oil prices, Cenovus applauds the decision. It recognizes that the Alberta government needs to find a way to stop these bottom-of-the-barrel prices and sees producing more as financially foolish. This is expected given 83% of Cenovus’ petroleum output relies upon oil sands production. Low oil prices hurt Cenovus’ Q3 results, reporting a loss of $242 million compared to $275 million profit last year. This has some investors thinking that Cenovus is panicking, but that’s not true. The company is all about fiscal responsibility, which even includes its solvent-aided-process, or SAP – potentially the lowest-cost oil sands production in the industry. Cenovus isn’t just sitting around to wait for prices to rebound. It recently made deals with Canadian National Railway and Canadian Pacific Railway to transport about 100,000 barrels per day of crude. Yet what really makes Cenovus attractive is its stock price. The company recently reached its year-end low of about $9 per share. With prices so low, why not buy it? If you’re only going to buy one stock today, make it Enbridge. It has been massively affected by the plunge in oil prices but, as with TransCanada, for no good reason in my opinion. Enbridge is Canada’s biggest crude export pipeline system and acts like it. 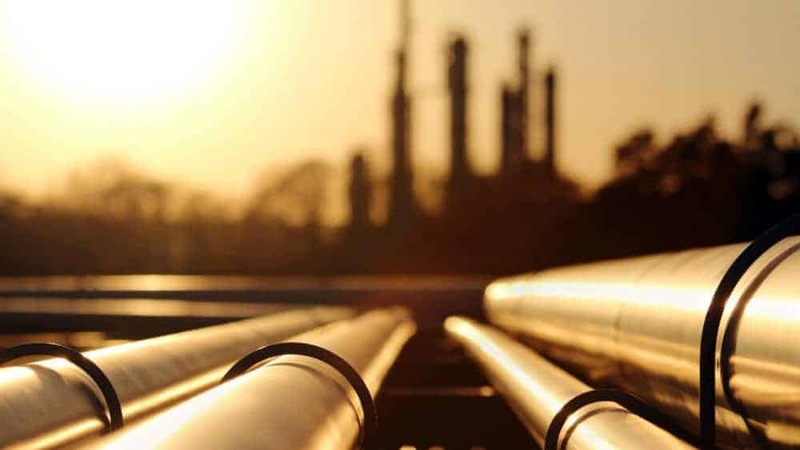 The company has $7 billion worth of new projects coming into service this year, including the NEXUS and TEAL gas pipeline projects that began service in October, and the Valley Crossing gas pipeline that began service in November. Enbridge showed positive Q3 results with adjusted earnings of $933 million compared to $632 million last year. For over 64 years Enbridge has paid strong dividends to its shareholders, with a $2.68 annual dividend per share for 2018. Over the past 20 years, the company has seen dividends grow by over 10% year after year, and expects this to continue through 2020. “The strong financial results in the third quarter underscores the quality and predictability of our business model,” said Al Monaco, President and Chief Executive Officer of Enbridge. Key word: predictable. Just what any investor wants to hear! Amy Legate-Wolfe has no position in any company mentioned within this article.